Individual valves for your automation tasks Valves are like the executive body in the control process. They largely determine the dynamic response and at the same time have to be able to withstand a high dynamic response themselves. Thats why valves need to be sturdy, durable and reliable. Festo has always been committed to a high standard of quality and supplies valves with up to 100 million switching cycles worldwide. 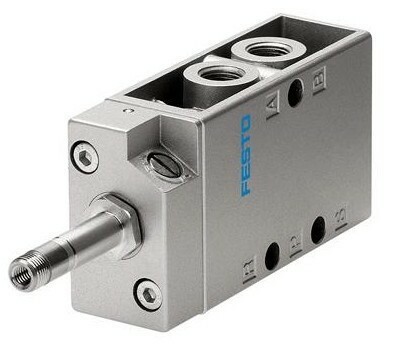 At Festo youll find directional control valves, proportional valves, safety valves, standards-based valves, fast-switching valves, media valves and process valves, actuated either electrically, pneumatically, mechanically or manually. These valves are used in all industry segments, from the food and packaging industry to the automotive, electronics, wood and textile industry, to process automation.